But, Pusheen! You extend beyond mere feline fame. You give us fun animated gifs for us to share with our friends and family on social media. You give us permission to flop down and allow our bodies to transform into a semisolid state and just mold into the environment in which we're resting. And, when it comes down to it, that's really what we humans are in need of. If only there were a way for us to better learn from and emulate your wisdom! Of course, there is a way to do exactly that! 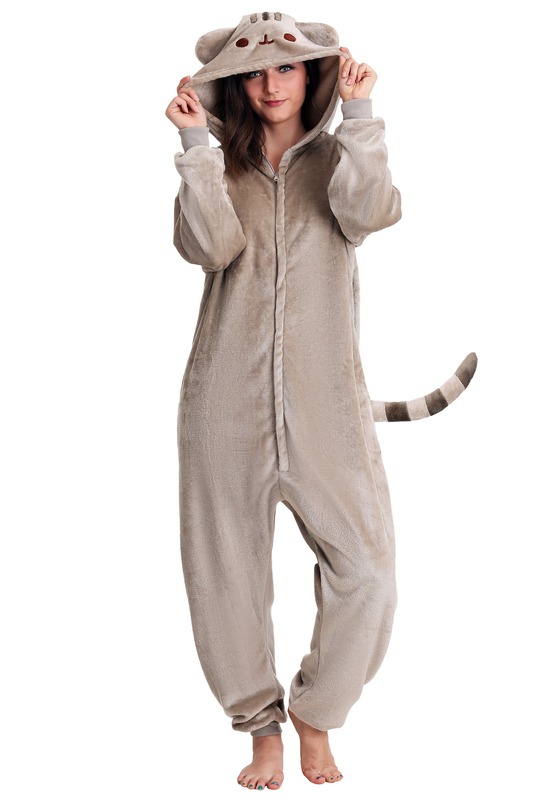 This Pusheen Cat Kigurumi Costume will pull on the magic of cartoon kitties and let you feel like you're just a bit better than the average human. Blend adorable with comfort when you slide into this pair of officially licensed Pusheen pajamas. 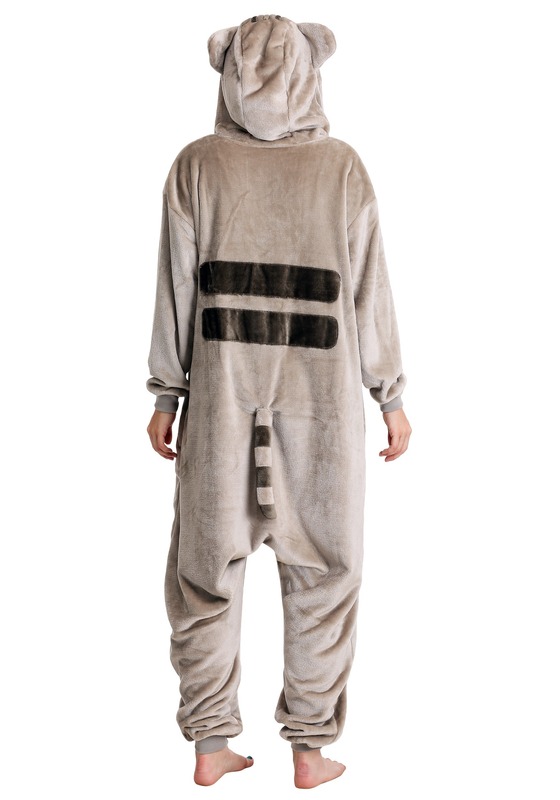 They are a fuzzy jumpsuit that zips up the front and feature embroidered Pusheen details all over, from its smiley face on the hood to the striped tail that is sewn into the back. Ribbed knit cuffs keep the pajamas a solid fit while the extra fabric lets you just spread out in purr-fect comfort. You'll be comfortable and feel amazing while you're stretched out in these delightful Pusheen pajamas, but just think of the costume opportunities. Put up a frame around you and zap you're now an animated GIF! So creative. Folks will be flinging snacks at you!